Tokyo is pretty amazing, right up there with New York and London. Really is a 24 hour city and I havn`t got a whole lot of sleep while here. highlights include shibuya crossing, a great temple we went to called shinto-jo, and our private karoake box with a japanese girl. sibuya crossing is crazy, so many people everywhere. at night tokyo is brighter than the day due to the blaring neons. 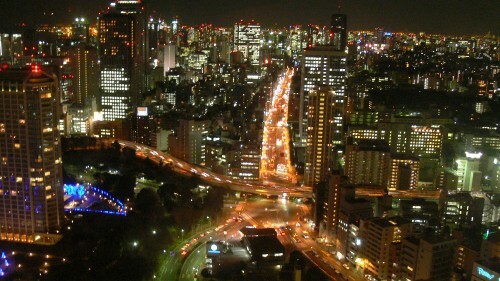 roppongi and shinjuka are particularly impressive. we met a japanese girl who speaks really good english at a bar in roppongi and didnt end up getting home until 7am. the next day she took us to a karoake place where you have your own private box. ended up coming back to our youth hostel with us. . we are planning to plan the rest of the trip tomorrow. we leave tokyo on thursday. every now and then i do a double take and realise i am in japan.